As autumn starts to creep in, we’re looking forward to some film nights snuggled up on the sofa with our favourite fur balls! A nice warm jumper, cup of hot chocolate, and a good film with your favourite actor sounds like a perfect evening. Your favourite actor maybe, but what about your pet’s favourite actor? From fur ball to film stars! We had a little think about animals in film (and television) and were surprised to see just how far back this tradition has gone! Long before Disney were bringing in real Lions for the Lion King, or King Kong was being made into awesome animatronics, there were a whole host of animal film stars! Here are our top 5 animal actors, in no particular order! Spike was a Mastador (Labrador Mastiff cross) who was most famous for playing the dog Old Yeller in the 1957 Disney film Old Yeller. A star pupil of trainer Frank Weatherwax, Spike had quite a film and TV career throughout his life. After being rescued from an adoption centre as a puppy, Spike was trained to act and starred in many films and TV shows, including: Old Yeller (as Old Yeller), The She Creature (as King), A Dog of Flanders (Patrasche), and The Silent Call (Pete). Spike’s TV appearances also included The Mickey Mouse Club, The Westerner, and Lassie. Little Terry was a female Carin Terrier most famous for playing Toto in the Wizard of Oz. She was rescued by trainer Carl Spitz after being abandoned by her previous owners. Terry was a film star from 1934 until 1942 and passed away in 1945 aged 11 years old. Although she was rarely credited by her real name in films (Wizard of Oz credited her as Toto), she was regularly paid more than many of her human actor peers. Terry appeared in a whole host of films of the era, racking up more roles than most human actors! Her most notable roles, aside from Toto, were that of “Rags” in the film Bright Eyes, starring alongside Shirley Temple, and “Rex” in the film Bad Little Angel. Terry has an autobiography called “I, Toto” which is available to buy online and tells her rags to riches story. Animal actors come in all shapes and sizes, but Keiko the Orcinus Orca Whale is probably one of the biggest animal actors when it comes to size! Keiko shot to fame in 1993’s film Free Willy after having a few minor roles in television. He was trained in Marinelane in Ontario, Canada, but eventually the plot line of Free Willy became all too real for Keiko. Keiko was eventually released in 2002 but was unable to rejoin wild Orcas. He passed away, with his long term keepers by his side, on 12th December 2003 in Norway. There is a memorial in Halsa, Norway, dedicated to Keiko. Who doesn’t think of Lassie when asked about doggy actors? In truth, the character of Lassie has been played by many dogs over the years. Even the Mastador Spike played Lassie! Probably the most recognisable, however, was the female Rough Collie called Pal. Pal was the pet and dog actor trained by Rudd Weatherwax, brother of Spike’s owner Frank. Among other roles, she played Lassie in MGM’s 1943 film Lassie Come Home. Pal did such a good job that she continued to play Lassie in subsequent film and TV versions. Her descendants also featured in versions of Lassie. Rudd Weatherwax was so taken by Pal that he co-wrote her biography as a way to preserve her memory after she passed away in 1958 aged around 17. The last animal on our list is Jimmy the crow! 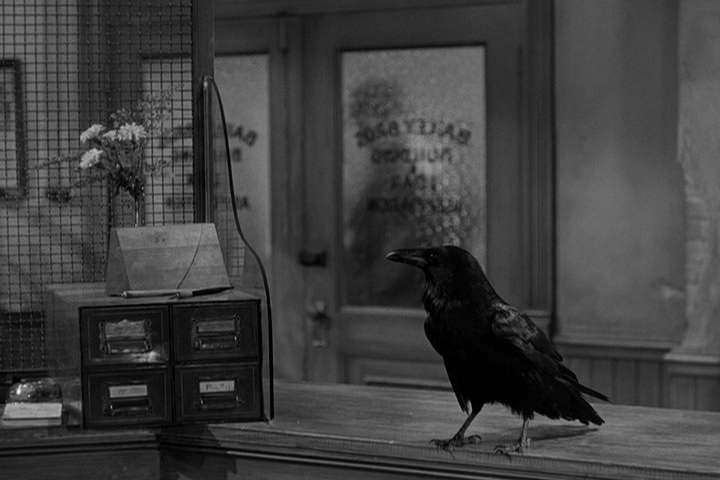 Jimmy was a raven who lived from 1934-1954 (a whopping twenty years!). He worked on a whole host of Hollywood films, over 1000 in fact! Jimmy was owned by trainer Curley Tiwford and featured in many of the great films from the era, including the Wizard of Oz alongside Terry the Carin Terrier! Jimmy’s popularity lead to MGM insuring him for a whopping $10,000; which is over $160,000 in today’s money. Jimmy was a smart crow and his trainer claimed he had the intelligence of an 8 year old child. Jimmy learnt hundreds of words and performed many tricks useful in the film industry. Tricks included letter opening, typing and riding a tiny motorcycle! Jimmy is one of the few animals to be awarded the Red Cross, for his volunteering with war veterans. Enough talented animals to keep you amused! Have another favourite? Let us know in the comments or on Facebook or Twitter!